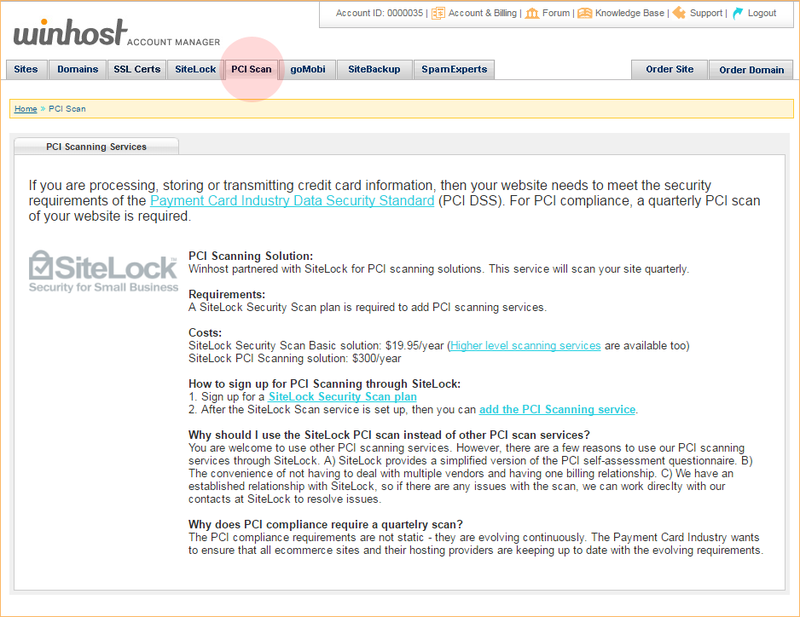 Did you know you could order Payment Card Industry (PCI) scanning service from your Winhost Control Panel? If you accept credit card payments – or plan to in the future – you will have to have regular PCI scans of your site and a review of your data handling procedures. The SiteLock PCI service can make that process much easier. 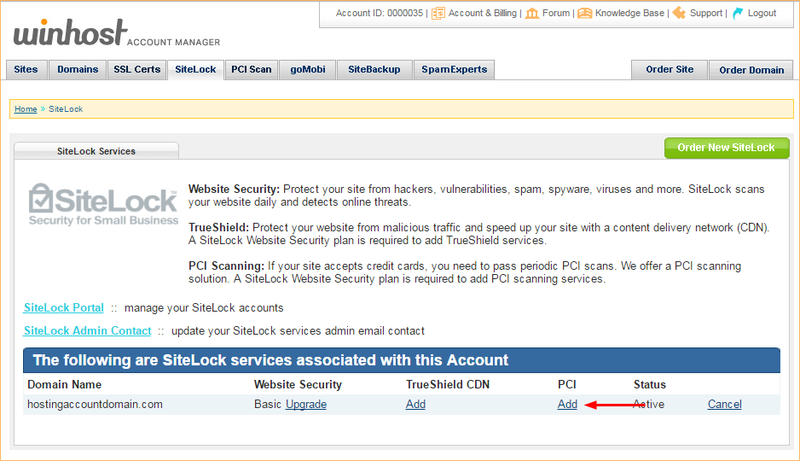 To use the SiteLock PCI scanning service, you have to first open a SiteLock Basic account. 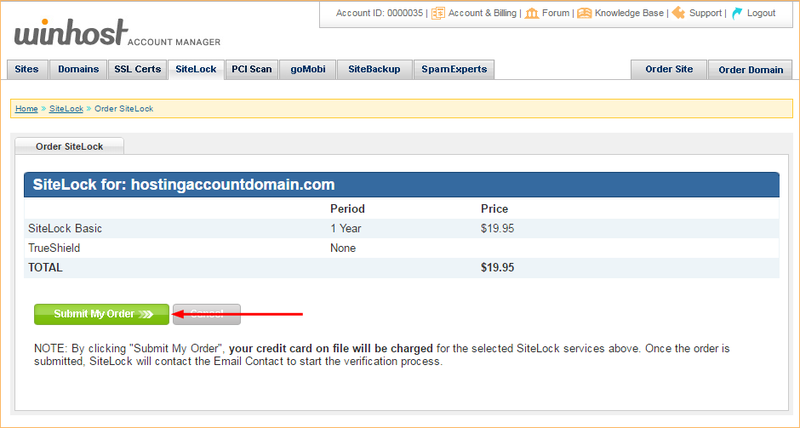 The PCI scanning will be a child service of the SiteLock Basic account. 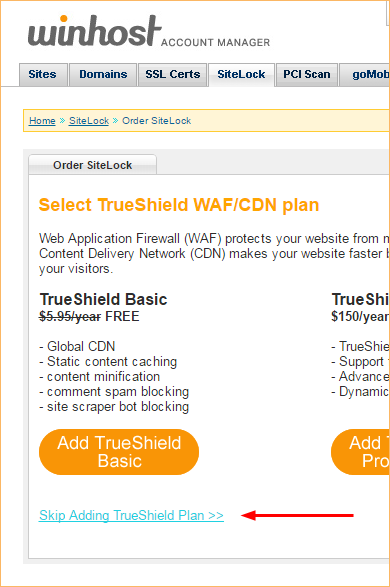 The SiteLock account comes with a bunch of great non-PCI features, so you can definitely benefit from both services. 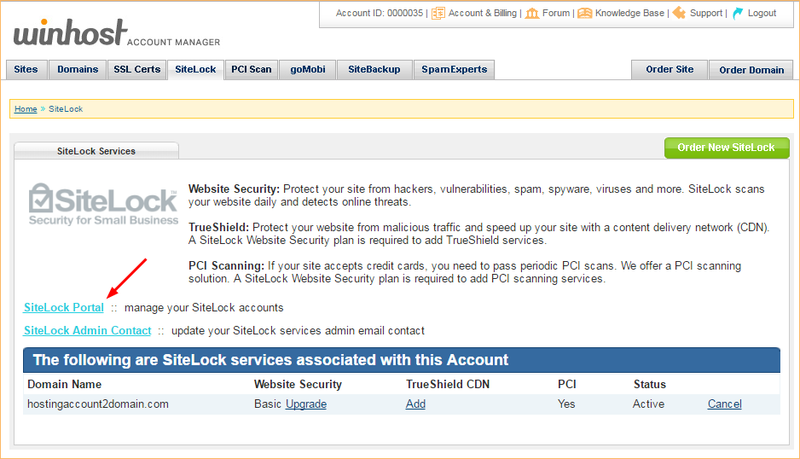 SiteLock will also send you an email that includes their phone number, if you should need to call them during any part of the PCI verification/scanning process. This article covers the account set up only, the actual PCI scanning and verification process is a bit more complicated than we can get in to here. 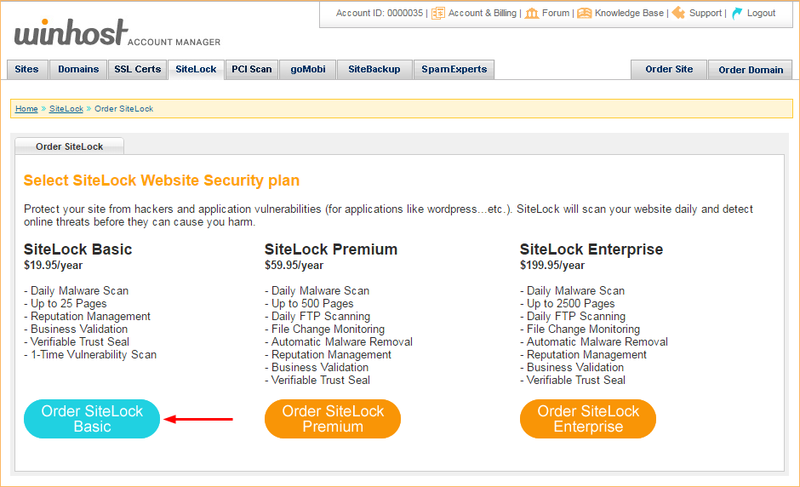 But you’ll find plenty of information on how to proceed in the SiteLock portal.